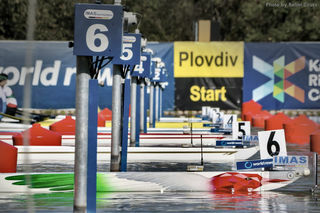 I really enjoyed airbrushing this single that Laszlo boats provided for Peter Galambos to row at the 2018 worlds in Plovdiv. 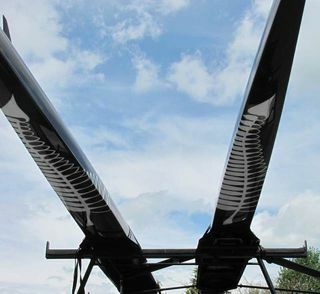 Kiwi International Rowing Skiffs commissioned me to paint "silver ferns" on Mahe Drysdale's and Duncan Grant's training and racing skiffs for the World Champs at Karapiro N.Z. 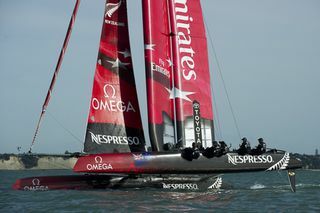 The biggest buzz was seeing the boats racing on the lake and meeting and working with Mahe and Duncan, "Real good Blokes"
Rocket Signs (Auckland NZ)do all signage and livery design for ETNZ. 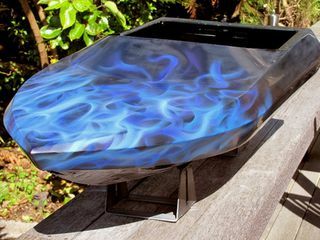 This is a magnificent welded alloy scale model radio controlled jetboat built by Adam Wilton at Jettec Developments, Christchurch. Scott assembled the boat using a Zenoah 26cc two stroke engine and a Gruapner jet unit. Hull was painted in black with PPG Vibrance pearl which "flops" from deep green to old gold with hints of blues and reds by Brian Whittaker ( Whakatane Vehicle painter). I painted the blue "real look fire" and Scott was rapt with the "depth and the real look". 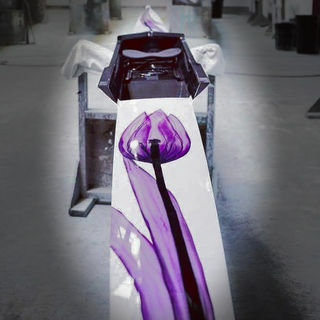 Laszlo Boats, in conjunction with Customs Dept, now offers Airbrushed Artwork on all newly manufactured skiffs and any that clubs, schools and owners may wish to upgrade / refurbish. 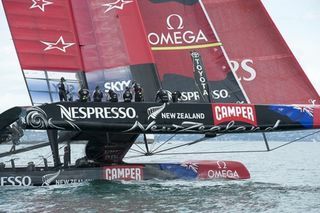 I airbrushed the The flag images on the single demo skiff while I was painting Mahe's and Duncan's World Champs Boats. Below those are some samples of enhanced logos, themes and schemes.